Color is our business. We work every day to ensure that our customers get the color they need for their products. But we don’t just match your color, we design your color to look great with the utmost in product performance. 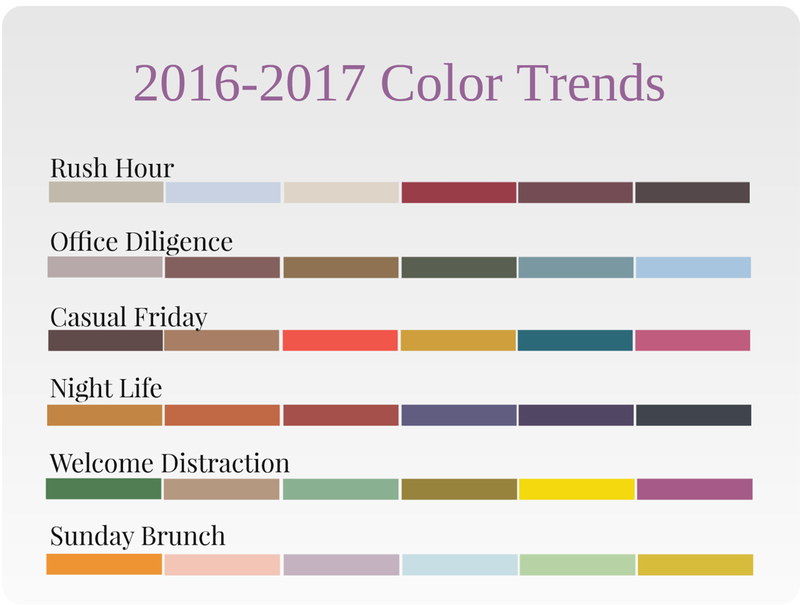 To help our customers keep up with the latest product design trends, we just introduced the 2016-2017 Americhem Color Trends forecast in Dalton, Georgia. I presented our color trends to a record number of attendees in hopes of providing them with aesthetic inspiration. It was great to have so many creative minds in one room. As lead color trends specialist, I get the privilege to live and breathe colors all year round. 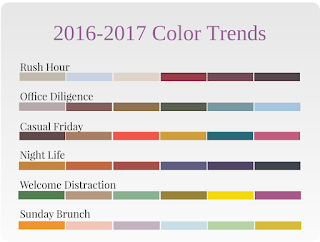 The team and I conduct a lot of research and collaborate to bring the color trends to life. We are confident that these colors will guide consumer preference in the years to come. Our program can be valuable in keeping industry professionals ahead of the curve when it comes to color choices. I took the audience through colors and palette themes by exploring images representing real life architecture, fashion, high tech gadgets, interior design and more. We find that these images are essential in demonstrating our trends in everyday settings. Rush Hour- The beginning and ending of every work day and work week. Office Diligence- Hues from this palette are observed in everyday work. Casual Friday- TGIF everyone! A day to wind down and relax at the end of the week, but also to provide inspiration for a Friday night out or a weekend getaway. Night Life- Night Life is glamorous and sophisticated, with contrasting colors that are used to accentuate luminous effects. Sparkles, glitter, shiny fabrics, and textures abound. Welcome Distraction- This palette is a mix and match of bright and medium shades, perhaps eccentric, but also playful and energetic. Sunday Brunch- The pastel hues of this palette remind us of traditional brunch foods and beverages, and impart a feeling of calm. Our audience was so receptive to the presentation and I was pleased to see the feedback they provided. Mary K. said, “Great inclusion of various cultural influences - fashion, pop culture, technology.” We were also told by Cherise P., “I enjoyed the way the presentation was given as a story that we could relate to. The visual presentation was well put together.” I enjoyed talking to all of the designers about the colors and it was a great experience for me as a presenter to see people get inspired. Color trends apply to all industries interested in accenting their products with innovative, modern colors. Our forecasts reach across any and all product categories. From carpet to automotive and apparel to packaged goods, consumers are looking for the latest colors to make them stand out from the crowd. Please reference our color trends inspiration sheets to see how you can introduce our colors in any setting. And now, for the first time, you can experience our color trends in an upcoming webinar November 5. Register Today. If you are interested in learning more you can contact me at abarto@americhem.com.